Renée graduated from the Faculty of Law at the University of Manitoba in 1993 and was Called to the Bar in Manitoba in 1994. In her early years of law she practiced in a general law practice with an emphasis on family law. From 2003 until 2015 she practiced mainly child protection litigation and family law. In this capacity Renée has extensive litigation experience advocating for clients in court and negotiating settlements outside of court. From October 2015 until joining Bennet Waugh Corne in February 2017 she was assisting families experiencing separation and divorce through mediation at Fairway Divorce Solutions. Renée is currently completing her Mediation Skills Certificate. Renée's focus at this time is Collaborative Practice, which allows families to make their own decisions and maintain more control over the process. Her experience in litigation, collaboration and mediation in family law gives her valuable insight in assisting clients to determine which process is right for the situation. Renée enjoys working with people to help them find the best solution for the family during what is often a difficult time. Renée is experienced in all aspects of Family Law, including Cohabitation Agreements, Pre-nuptial Agreements, Adoption, Guardianship, divorce, separation, breakdown of common-law relationships, custody, child support, variations, and child protection matters. 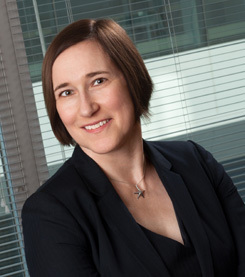 Renée is a member of the Canadian Bar Association (and the Manitoba Bar Association) and Collaborative Practice Manitoba. Renée volunteered her time to coach her children in hockey, basketball and soccer. She is also a member the Manitoba Soccer Association (MSA) Discipline Committee. Renée is active in sports playing soccer in the Winnipeg Women's Soccer League and basketball in the Winnipeg Women's Basketball League for many years. She is a member of Blessed Sacrament Parish where she also volunteers her time. When she is not at work she spends her time enjoying her three children and their activities. If you need help navigating a legal issue, contact our general number to be put in touch with one of our lawyers. If you decide to meet with one of our lawyers, we offer flat-rate initial consultations. This consultation gives you the chance to meet personally with one of our lawyers and discuss your problems and concerns, without any obligation to continue unless you choose. 306 - 155 Carlton St.